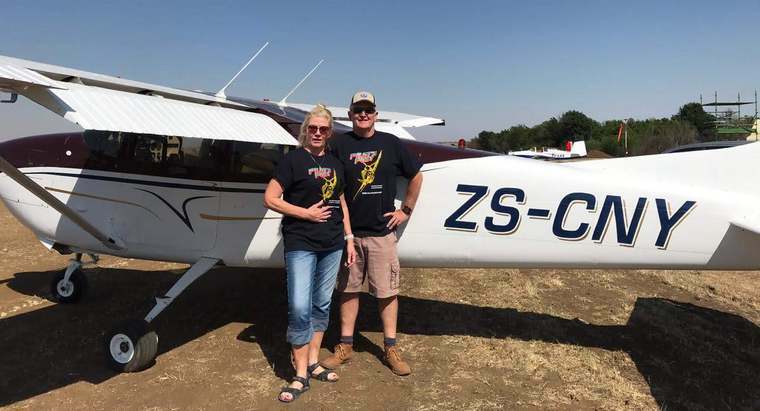 The South African Power Flying Association (SAPFA) together with the Secunda Flying Club organised a first of a kind successful Speed Navigation Fun Rally on Saturday 6th October 2018. 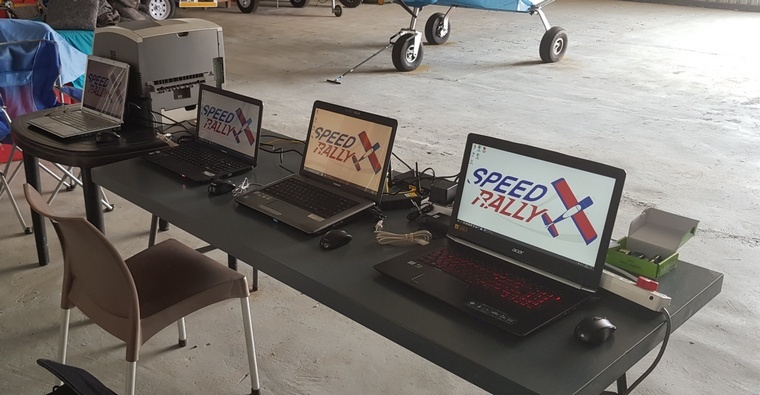 Although originally planned as a fun rally, which is a selected speed navigation event, it was decided to try a new format of everybody trying their hand at navigation while flying at full speed, with the increase of course in cockpit workload and making cockpit work sharing procedures all the more important. This was also a navigation event where no GPS or other navigation aids were allowed to be used, as the intent is that everybody uses the basic skills of navigation plotting and flying. 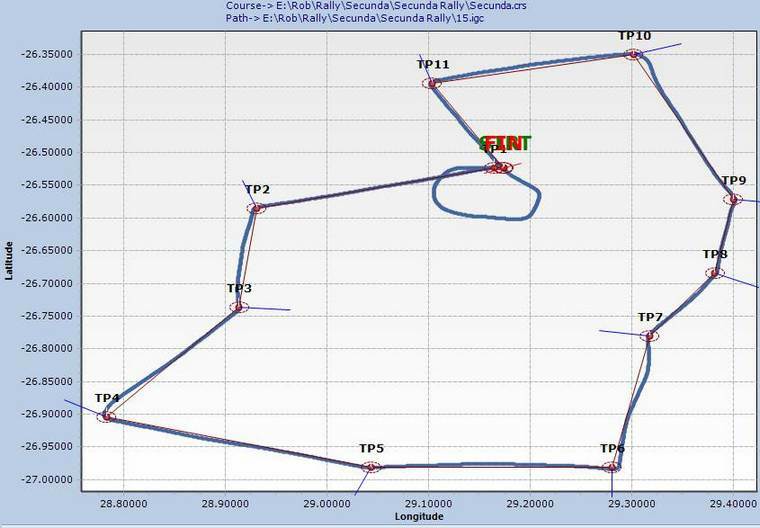 In this format, there are two objectives, fly against a pre-determined handicap speed for each aircraft, and fly the shortest route around the course which would consist of a minimum of 10 turning points. Each turning point would be identifiable with a photograph. Any aircraft would be able to compete, from slower LSA aircraft to the fast turbo singles, or even twins if there was interest. The course distance would be around 120 nm which would be within reach of most of the aircraft. 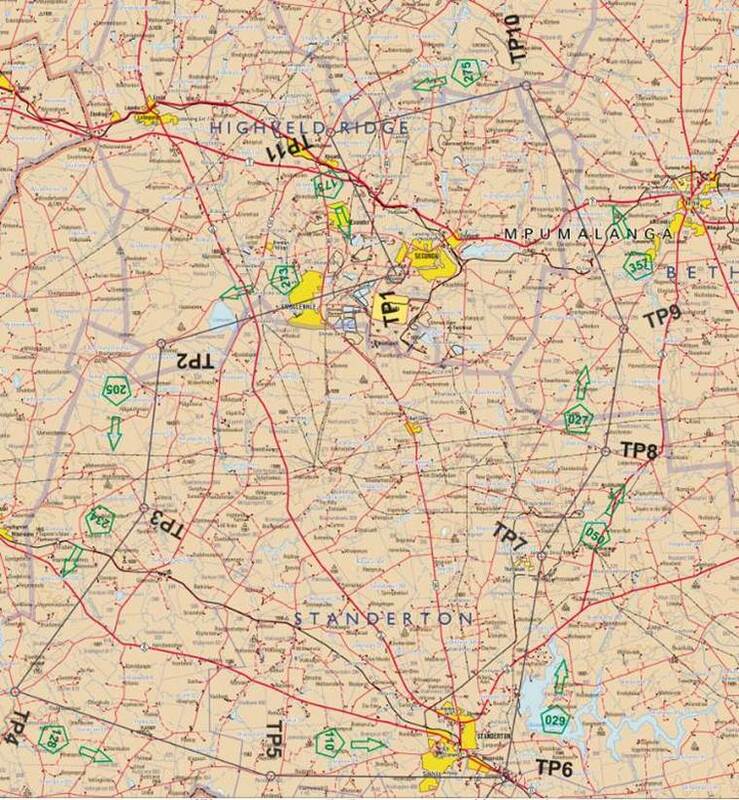 The idea would be that each crew would receive a pre-plotted map already complete with the route, turning points, headings, altitudes, as well as turning point photos, the map would not have any latitude/longitude or grid references, primarily to discourage the use of electronic navigation aids. This would be provided 20 minutes prior take-off to allow route orientation. The idea would be to test the speed management and navigation skills of each crew against each other, where the most accurate flying and turn performance management would win the rally. This being a new format, the rules and scoring software had to be developed, which included a penalty system of missed turning points and altitude levels, with the objective that everybody obtains a result and a position at the end of the event. 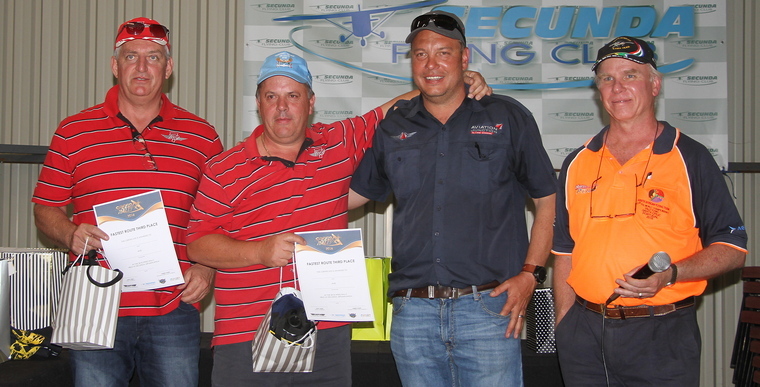 There was a lot of interest in this event, with Jonty Esser and the Secunda Flying Club chairman Christoff le Grange drumming up teams to compete, where a total of 23 teams having entered which is quite a record for a fun rally event. The idea was that aircraft would be test flown to establish a nominal full power speed from which a handicap would be obtained, the handicap formulation made up of two components, number of acute angle turn points in the course and the course distance, all applied with the speed squared as a factor to take into account each aircraft's nominal speed. This first speed rally would then also determine if the handicap formulation turned out to work from actual results. Friday the 5th October was the planned test flight day, and competitors who wanted to test fly their aircraft could do so, and those for which there was no handicap history were required to do a test flight, and for most of the day except for around midday test conditions were favourable, as each of the 4 test legs needed to be flown with the aircraft stable to achieve a good result. Most of the teams had arrived by Friday afternoon and attended the first briefing session which was also a short training session of what to expect and how the handicapping worked. This was followed by an excellent braai organized by the club. Saturday morning dawned with excellent weather conditions forecast for the day, and the ground marshals already busy from 7 am placing the aircraft in their starting order positions, as the slowest aircraft would start and the fastest last so that (if everybody flew a perfect course), there would be a 30 second gap between them over the finish which was the intersection of the taxiway and the runway. Briefing was at 8.30, which was kept short to explain the day's protocol on start and take-off procedures as well as finish procedures. To assist the teams at getting their take-off roll accurate, a starting light system was set-up on the runway, which would release them at their allotted time slot. Each team then received their envelopes with their loggers at their 20 minutes prior take-off time, and the teams taxied to the starting line. 1st take-off was at 10h20 for the slowest aircraft and last take-off at 11h00, with planned arrival at 11h40, the fast Cirrus ZS-ACA only needing 40 minutes to complete the course. With all the teams airborne and finding their way around, the first teams were back on schedule and were streaming in one after the other, some having overtaken others either having flown a good navigation route or having flown close to their handicap speed. After all teams having returned and safe on the ground, the scoring team got to work to analyse the results, with only two teams requiring a debrief on a handicap speed problem, which was corrected with agreement, in this sort of instance, a further flight test would also have been an option. The results were made available fairly quickly to all the teams, and prize giving could start at 3 pm, hosted by Chistoff the Secunda Flying Club Chairman. 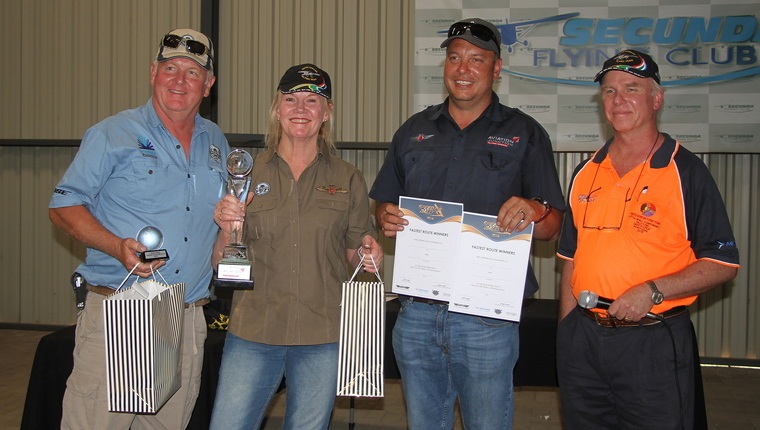 The overall winners in the best handicap speed were the team of Phil Wakeley and Mary de Klerk in a C210 who beat their handicap speed by a mere 4 seconds, and were also the winners of the shortest route flown with 1.84% overflown. There were other prizes up for grabs with the longest route flown (or the longest day), best crew (for preparing the aircraft and polishing), best marshals (for parking and taxiing aircraft). After the prize-giving, the club arrange a scrumptious spitbraai which we all enjoyed watching the great rugby game that turned out to be a disappointment in the last minute. Many thanks to the Secunda Flying Club for hosting this fantastic event, the SAPFA team of Hans Potgieter as the Competition Director, Nigel Musgrave as the Safety Officer, Dirk de Vos and his wife doing the scoring, Chester Chandler for assisting with handicapping, and Mark Clulow for being the starter and dealing with entry lists. 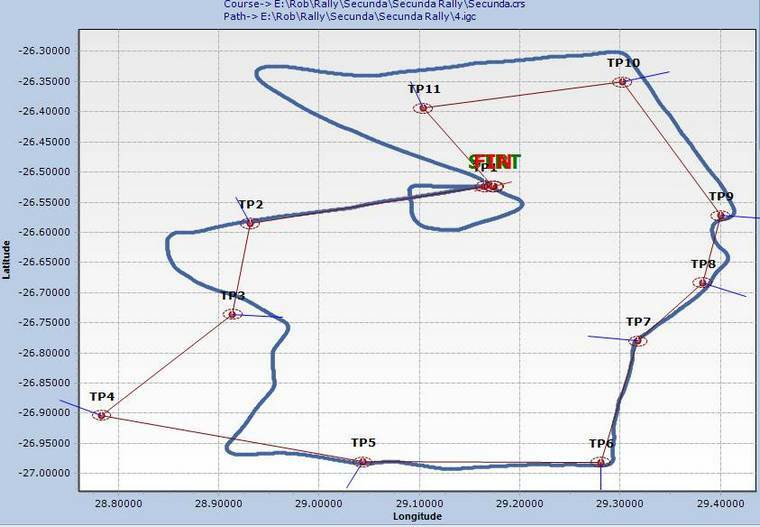 The first track was the track flown with the least distance, and the second track was of a crew that were wandering around a bit.